A Fun Way to Have Fun!!!! The 1st investor to invest $5,000 will have the opportunity to choose our mascot and name him. The 1st two investors who invest $4,000 will have an opportunity to name the Adult event rooms. The 1st four investors to invest $3,000 will have an opportunity to name one of the children event rooms. The 1st two investors to invest $2,000 will have an opportunity to have a menu item name after them. The 1st three investors to invest $1,000 will receive custom Art of Fun UFC clothing. All investors who invest $500 will receive Art of Fun UFC wrist bands. All investors will be invited to our Soft Opening and Grand Opening ceremony. All investors and their immediate family will receive 10% discount on all services for an entire year. 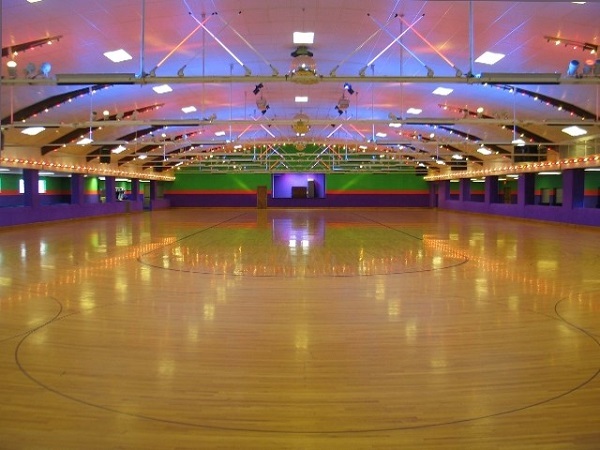 Art of Fun Ultimate Fun Center is a Chicago, IL-based company that will provide admission to the community leisure venue, birthday party hosting, food concessions, laser tag, arcade, and event hosting to customers. Art of Fun is committed to filling the gap in the leisure segment in the City of Chicago. Griffith Hospitality, LLC will own and operate this ultimate fun center offering excellent service, affordable prices, and a unique customer experience that will forge a lifetime of community followers. Art of Fun will cater to communities which lack facilities that host birthday parties and offer a fun and safe haven for Chicago youth. The atmosphere will be safe, fun, affordable and friendly. The staff will be trained to handle all customers with the utmost respect. We will display a new vibrant attitude with our diamond customer service (The Diamond Experience), top quality food, cleanliness, game variety and facility maintenance. 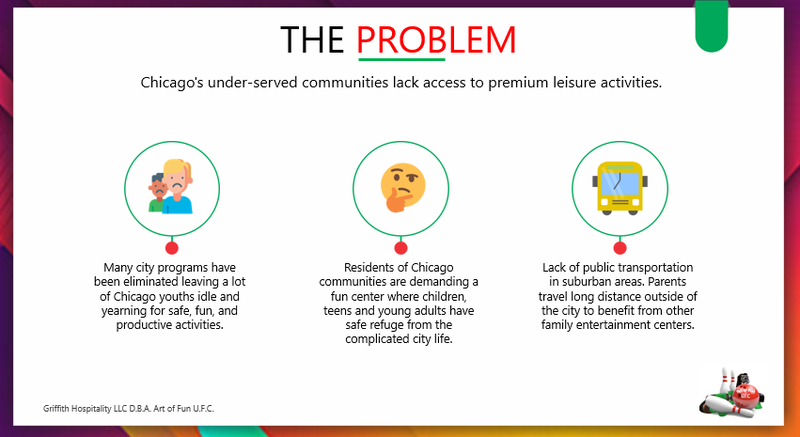 Chicago's communities lack access to premium leisure activities. Many city programs have been eliminated leaving a lot of Chicago youths idle and yearning for safe, fun, and productive activities. 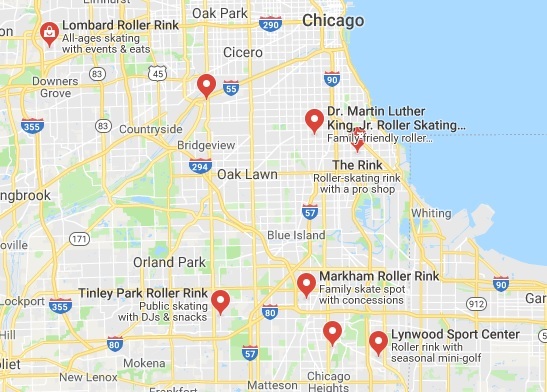 Residents of Chicago communities are demanding a fun center where children, teens and young adults have safe refuge from the complicated city life. All too often, parents must travel outside of the city to benefit from other family entertainment centers. A chief complaint from those same parents are that they travel too far, have no access to public transportation in suburban areas, and experience long travel times. We are confident that there is a great market opportunity here for a modern community leisure venue. Art of Fun Ultimate Fun Center is the first entertainment establishment to offer the six amazing amusement attractions under one roof. 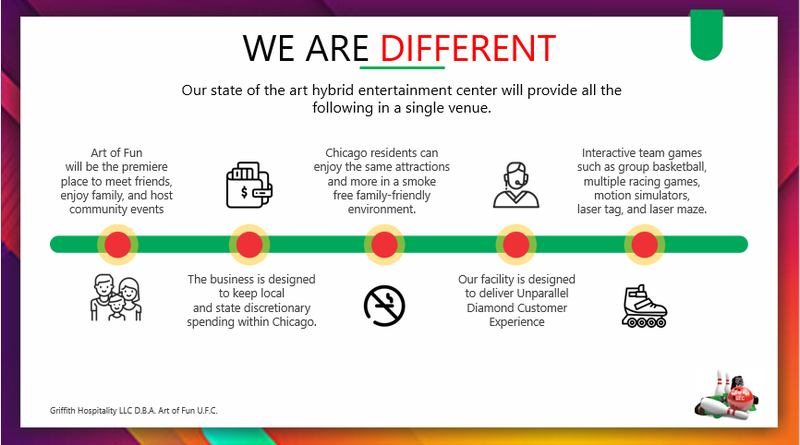 By combining skating, laser tag, black light bowling, indoor go-karting, arcades, and party rooms; Art of Fun can cost-effectively provide Diamond customer service to the residents of Chicago. Art of Fun will forge deep community ties by partnering with non-profit organizations to assist in providing summer jobs, building employee equity. In 2016, One Summer Chicago received 77,000 applications for employment. With the Art of Fun knocking at the door, some of those applicants will apply to our establishment; creating visibility and buzz about the business. Art of Fun intends to use a broad-based advertising campaign that will raise the awareness of Art of Fun among the targeted demographic. We will place advertisements in local newspapers like the Chicago Defender, Chicago Tribune, Chicago Sun-Times and RedEye. Chicago Public schools have approximately 1,350 elementary schools and 140 high schools. Advertisements will be placed in 90% of these schools. With is strategic placement awareness will be raised among parents and teachers. The Art of Fun U.F.C will create a “Student Rewards and Incentive Program, which allows kids to bring in their report cards and receive free game tokens for getting As and Bs. By providing incentives for excellent performing students, schools, and parent participation; this will raise awareness and capture guest traffic. In addition, there will be a 10 percent discount for parents who attend three PTA meetings in a row, and the percentage increases if they continue participating. Discount coupons or coupons for free admission will be distributed in shopping malls such as Ford City, Chicago Ridge Mall, and North Riverside Mall. 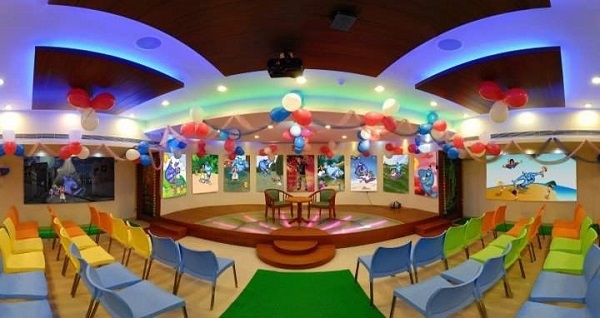 Management also expects that the business will generate significant word of mouth advertising as the venue hosts events for children’s birthday parties. As more and more children are invited to The Art of Fun hosted birthday parties, these youngsters will want their parents to host their next birthday party at the facility. We anticipate that this type of advertising will take three to six months to become effective. The Art of Fun will also use an internet based strategy. This is very important as many consumers seek local services such as local entertainment by utilizing the Internet through personal computers, cellular phones, and other smart devices to conduct their preliminary searches. Mr. Griffith and management will register the facility with online portals and search engines so that potential guests can easily reach the business. We will create and establish a personal page via multiple social media websites like Facebook, Twitter, Instagram, and Pinterest. The social media sites will generate a real-time interaction with existing guest and potential guest. These social media sites will allow The Art of Fun to post pictures of facility events and special promotions. We will develop our own online website where guests and visitors can observe the type of environment, services, and promotions that are being offered. The use of Television has become one of the most used forms of advertising and marketing. The Art of Fun will create commercial advertisements to be placed on television stations such as WCIU channel 26, WGN Channel 9, and FOX channel 32. These three media vehicles are known to attract the targeted African-American demographic Art of Fun looks to target. 190 North is another vehicle that promotes new businesses within the Chicagoland and Illinois area. A large portion of consumers drives, which will provide a great opportunity to advertise on radio stations like 107.5 WGCI, POWER 92.3, 102.7, 104.3 and 96.3. This will create an immediate draw to the business. 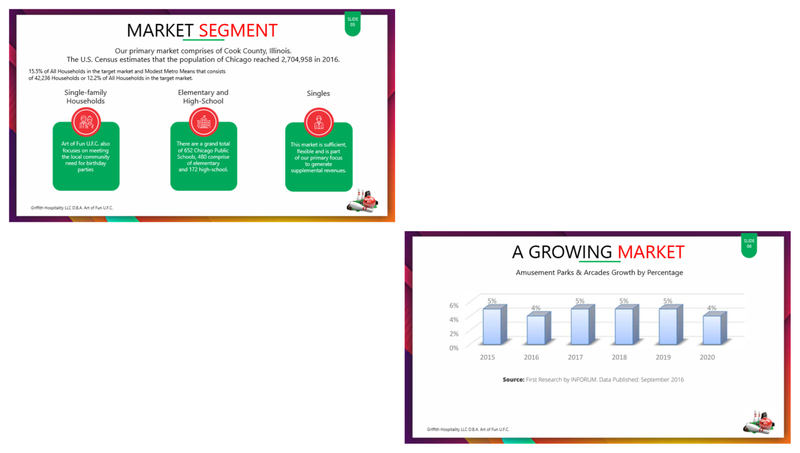 We expect our strongest market segments to be Urban Edge that consists of 53,567 Households or 15.5% of All Households in the target market and Modest Metro Means that consists of 42,236 Households or 12.2% of All Households in the target market. Both segments spend their free time in their local stores, restaurants and cultural venues. They head to local bistros for food and to connect with friends; they also take in plays, movies, concerts and comedy clubs. Compared to other Americans, they are more than three times as likely to patronize bars and nightclubs. Their ages range from 19 to 65 years old, giving the segment exceptional diversity in its consuming patterns. Our success will be based on our ability to become known within the community. We must focus on the specific market segments whose needs match our offerings. Focusing on targeted segments is the key to our future. Therefore, the focus and marketing message will be the services offered. Once the message is developed, it will be communicated and fulfilled. For a variety of reasons, single-family households are an attractive market. Parents are looking for a safe and affordable place to take their children. The market segment customers will lead a lifestyle in which their children play a large part in their lives. Art of Fun U.F.C. also focuses on meeting the local community need for birthday parties within a 10-mile radius of Chicago. Art of Fun U.F.C. would like to establish relationships with local elementary and high-schools; there are a grand total of 652 Chicago Public Schools, 480 comprise of elementary and 172 high-school. For the school year 2016-2017 Chicago Public Schools reported 381,349 students attended school, 272,296 elementary students and 109,053 high-school students. The strategy for this market is to provide periodic communications through the Local School Council (L.S.C.). This strategic approach will provide awareness, credibility, and frequency of communication to our target market. Another segment of our business includes single customers who want to enjoy leisure activities. These customers will be vital to maintain revenues during non-school hours on weekdays and late weekend hours of operation. This market is sufficient, flexible and is part of our primary focus to generate supplemental revenues. Our new modern facility will offer a unique building design that provides a state of the art hybrid entertainment center. Art of Fun will be the premiere place to meet friends, enjoy family, and host community events; all without driving long distances to surrounding communities. The concept is designed to keep local and state discretionary spending within Chicago. Now, rather than driving to Burbank, Crestwood, Batavia, Alsip, or Harvey to enjoy leisure activities. Chicago residents can enjoy the same attractions and more in a smoke free family-friendly environment. This will keep entertainment and discretionary spending dollars in the city, community and within local retail businesses. The primary service offered by Art of Fun U.F.C. is the use of its roller rink facility. Within the facility, the Company will provide birthday & event hosting, interactive gaming for children, teens and adults. There will be an adult lounge where adults can relax and take advantage of mature activities while in the same building. Once customers enter The Art of Fun, and "The Diamond Experience" begins. On the first floor, customers will be able to take part in roller skating, go-karts, birthday parties, children games and redemption prizes. Interactive team games such as group basketball, multiple racing games, motion simulators, laser tag, and laser maze will be available for patrons. Additionally, the business will offer a selection of food and beverage services which will include candy, hotdogs, hamburgers, hot wings, small sandwiches, coffee, and fountain drinks. This aspect of the business is very important because it will provide an additional stream of revenue for the business while allowing parents and children to stay in the facility longer. Mr. Griffith has over 15 years of experience in customer service industry. Mr. Griffith has experience in the family entertainment center business where he has been involved in various facets of facility operations for Rainbo Roller Skating Rink and CEC Entertainment Inc. Mr. Griffith worked in all aspects of the business, from overseeing the roller rink floor to assisting management with balancing register drawers at the end of operations. In addition to the above experience, he was responsible for birthday party hosting ensuring customers were received a high-level event experience. Mr. Griffith has led three startup and grand openings of a big-box Supercenter and small format Neighborhood market. He has directed all departments (hard lines, grocery/perishables, and customer service). He has developed merchandising and loss-control strategies, corporate programs, promotions, and policies, and lowered merchandise shrink. He Supervised the management of all operational functions and revenue departments including profitability, marketing, growth, safety, proper food handling, and customer relations. He implemented and achieved budgetary goals, maintained strict adherence to all cash control policies as well as maintained control of expenses, operating costs, and appropriate inventory levels. Mr. Griffith received his Associates of Applied Business (AAB) with the concentration in Business Management from Robert Morris University. He also received a Bachelor of Science in Human Resources Management (BSHRM). Mr. Griffith has attended the 2017 Foundations Entertainment University workshop. This workshop is a comprehensive educational workshop and seminar covering all aspects of planning, designing, developing and operating a location-based entertainment business or family entertainment center (FEC). Mr. Griffith has forged relationships with various FEC vendors and top consultants in the FEC planning and design industry. Shimeka Rogers is a Finance Clerk who works with the general public to provide details regarding outstanding debts owed to the local government. She worked as a retail customer service professional for over 10 years supporting operations. She believes in providing the ultimate customer service experience through product placement, interaction, quality service which coincides with the “Diamond Experience”. With the right attitude, customer-focused service, and genuine relationships built with clientele, any service focused company can thrive. Shimeka has supported big chain retailers including Walmart and Target; specialized retailers including Foot Locker, Jewel Osco, and Mariano’s. During her time at these retailers, she developed strategies and supported product placement, customer satisfaction, attaining sales targets, and implementing targeted campaigns for specific products. She also has experience in the financial industry holding a position with BMO Harris as a Customer Service Representative which led to her current position with the Department of Finance as a Finance Clerk. During her career in the financial industry, she became proficient in developing and reviewing payroll, generating financial reports, reviewing accounting statements for errors, and assessing risks. Shimeka is a current student at DeVry University pursuing a Bachelors of Business Administration specializing in Accounting to enhance her strong foundation in corporate finance and accounting. With the right methods of risk assessment, financial analysis, and budgeting a company can be successful even if they have rough patches. She is a member of the National Society of Leadership and Success which takes pride in helping people discover and achieve their goals while bettering the community. Mr. Stewart started his experience in customer service as part owner of Stewart’s Family Affair Bar-B-Que restaurant. He managed the daily operations and maintained inventory control in addition to maintaining high customer service standards. Mr. Stewart also managed payroll, accounting, and banking functions. Mr. Stewart is a 10-year United States Air Force Veteran. He served as a Staff Sargent, conducting Personnel Administration and Personnel Systems Management. He later received a Commander’s Commendation which led to a promotion to Squadron Computer Training Instructor. Mr. Stewart achieved a Bachelor’s of Computer Science from the University of Illinois at Chicago. Mr. Stewart worked as a Public Service Administrator and later promoted to Training Coordinator for the Illinois Department of Employment Security. He advanced to Assistant Program Manager where he planned as well as executed department operations. Mr. Stewart managed the Evaluation Program for the Veteran Services and participated in various policy committees. Art of Fun Ultimate Fun Center is seeking to raise a max amount of $578,000 via a regulation Crowdfunding or “CF” offering. Griffith Hospitality, LLC will allocate funds to propel the project into the operational stage. 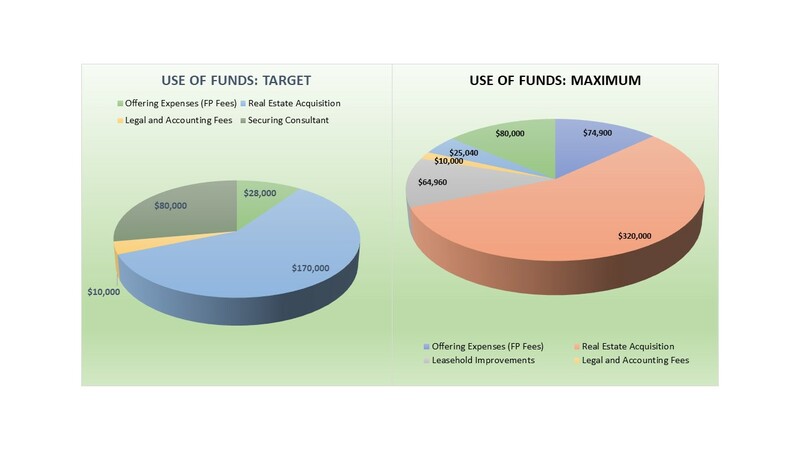 Below is a good guideline of how we anticipate on using the funds we raise. Acquisition of Industrial Building – Securing the correct location will be vital for the success of the project. Selecting an appropriate location that is easily accessible to customers will generate repeat business. FEC Design Consultant – A industry-specific Family Entertainment Center consultant will offer services such as Design Implementation, Facility Assessment, Equipment Procurement & Installation Coordination, Operational Implementation, Technology Designation, and Advertising and Marketing. The services are all-inclusive. Legal Fees - As the project moves forward, securing the proper legal counsel will ensure the business avoids costly legal delays. In addition, legal counsel will assist in navigating through any regulatory hurdles the project will encounter. Licenses – The City of Chicago and the State of Illinois requires the business to file for appropriate business and industry licenses. Successfully obtaining these licenses and maintaining them will ensure the project follows all applicable laws.